The Flinders ceiling fan features a high performance AC motor with 3 plastic blades. It has settings appropriate for both summer and winter and reaches 75W on the highest speed. This fan also comes with a wall control as standard. Alternative listings are available for alternative colours and models with and without integrated LED light. The Flinders ceiling fan features a modern, 3 ABS plastic blades and has a blade span of 56″ (1400mm). It features a 75W AC Motor reaching a maximum airflow of 13,764 m3/hr when on the highest speed. The Flinders comes with a modern designed wall controller and has settings suitable for both summer and winter months. The Flinders by Mercator is available in various colours including Brushed Chrome with Maple Timber patterned blades, Oil Rubbed Bronze with Alder Timber patterned blades and this listing is for the White model with light. For other colour combinations and those models with or without integrated LED light, please see alternative listings. 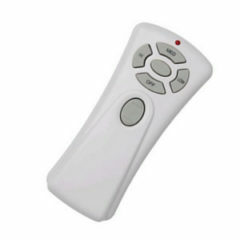 This is the basic Mercator RF (Radio Frequency) ceiling fan remote control that features a 3 speed fan setting and light on/off control. 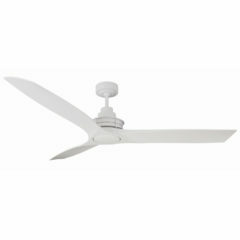 Suitable for most current AC motor Mercator Ceiling Fans we stock (check that it is compatible with your fan prior to purchase). The Mercator Touch Dimmer is suitable for 1-way operation and has protection against over heating. It has built in on/off and touch dimming control. 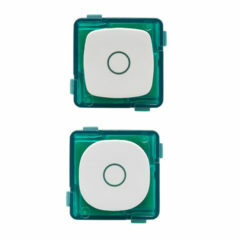 Two shapes are included to be compatible with Clipsal and HPM plates. This product is suitable for all dimmable Mercator products. This Mercator remote control transforms a 3 speed ceiling fan to a 7 speed allowing for a slower 'low' speed and many more speed options. 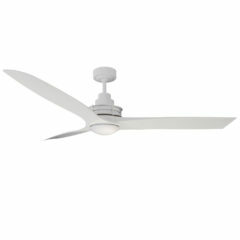 Can be used with most current Mercator AC motor ceiling fans we stock (check that it is compatible with your fan prior to purchase). 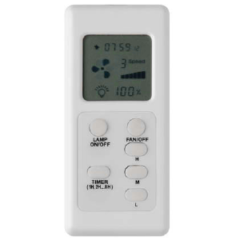 This remote comes with a 12V battery operated transmitter handset with a LCD screen and a receiver that fits into the canopy of the rod-mount system ceiling fans. Suitable for use with Mercator ceiling fans utilising incandescent globes and energy saving compact fluorescent lamps. Alternative listings are available for alternative colours and models with integrated LED light. 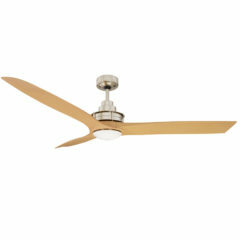 The Mercator Flinders ceiling fan FC518143BC features a high performance AC motor with 3 plastic blades. It has settings appropriate for both summer and winter and reaches 75W on the highest speed. This fan also comes with a wall control as standard. Alternative listings are available for alternative colours and models with and without integrated LED light.